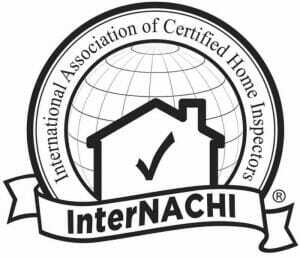 InterNACHI, the International Association of Certified Home Inspectors, Nick Gromicko and The Inspection Boys, Matthew Rivera and Leo Goldberger are joining forces to provide their franchisees a path to grow their businesses and experiences even more. The Inspection Boys is about to introduce a whole new way of creating business with its unique branding and marketing techniques. Co-Founders Leo Goldberger and Matthew Rivera have the experience and the track record to create something unique, big and powerful. Leo Goldberger has been in the construction field since the early 90s and is familiar with every aspect of the trade. Goldberger, a BPI certified professional has only recently started a franchise offering for The patch Boys (thepatchboys.com) and quickly secured over 35 locations in the first 18 months. Goldberger’s’ original concept caught fire and in his first 18 months the company has grown by a minimum of 15% every single month since inception. Matthew Rivera is a well-respected and well-known name in the inspection arena. 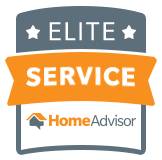 Not only is Matt a sought after home inspector, but he’s been teaching the trade for a while and has been involved in multiple facets in the inspection world. Matthew has developed a name for himself as a hard-worker, committed individual, no non-sense professional that gives 110% every single time. The Inspection Boys franchisees are carefully chosen for their experience, background, leadership skills and ability to build a team. The InterNACHI membership offers a pool of some of the best inspectors in the country and Nick and the team at The Inspection Boys plan to help InterNACHI members who want to grow their businesses into rock-solid knowledgeable company. The Inspection Boys is the most inexpensive Franchise entry program in the nation! But even more than that, it is set up to be as one of the best programs all around, as in Lowest Overhead, Lowest Royalty program, and huge territory sizes. In addition to the many promotional ideas, The Inspection Boys will provide every new franchisee their first year’s InterNACHI membership, in order to promote communication and education among the inspectors and to offer the client the highest mark of quality and trust.